Honour Badge of the National Motor and Air Travel Circle - Silver and Gold Class. 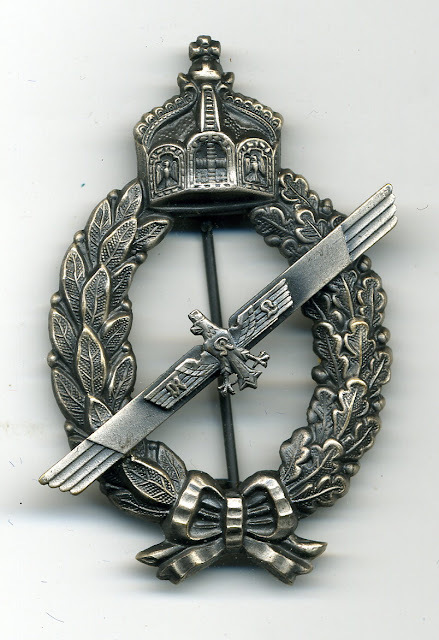 The Ring der Nationalen Kraftfahrt und Luftfahrt issued an Honour Badge in two grades silver and gold which consisted of a wreath in the form used in the imperial Flying badges. 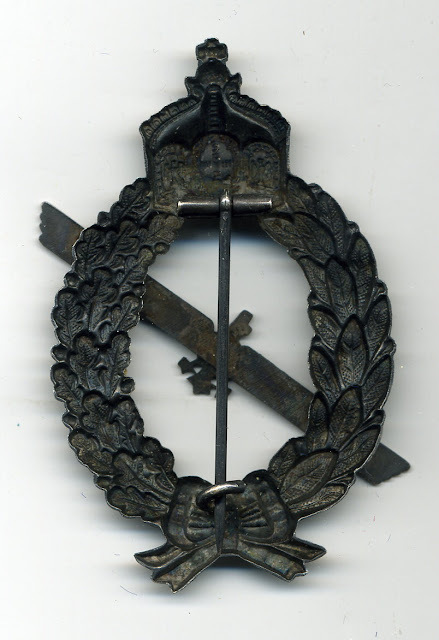 This badge measures 71 mm by 45 mm and is formed by a wreath of oak leaves on the right and laurel on the left. There is a large bow at the base and the German imperial crown surmounts the apex. At a 45% angle surmounting the wreath is a bar in the form of a stylised wing with on this an eagle with outstretched wings. The eagle’s head bears the imperial crown. In raised Gothic letters are the initials of the organisation R,K,L. The reverse shows the silowet of the obverse and it has a needle pin and C catch. The badges are constructed of thin pressed metal. The silver badge is finished in an oxidised smoked finish on the obverse with the reverse in charcoal grey overall appearance. The gold is likewise finished. 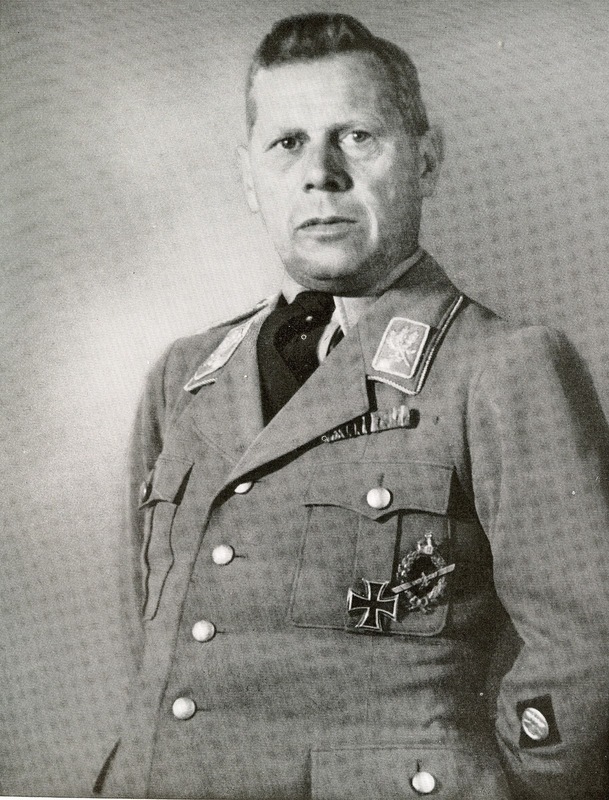 The award was to be worn on the left breast pocket.The Ring der Nationalen Kraftfahrt und Luftfahrt was an organisation that was formed to promote motorised and aerial research and development. This was made up of prominent persons interested in these developments and the formation of a German air force. Hermann Göring and Adolf Hühnlein were two of the recipients of the gold badge. Awards were only made during the Weimar period. It was discontinued soon after the Nazi assumption of power. 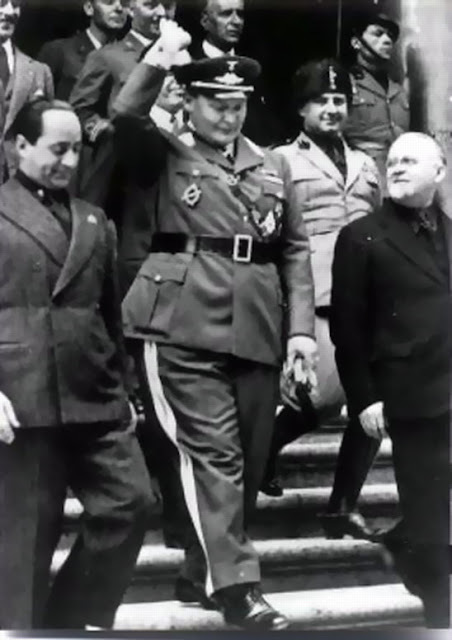 However it was permitted to be worn without restriction during the Third Reich.